Wee Radio Live - The New Wee Radio! Wee Radio is a community-supported radio station, catering to an ever-growing audience of Caribbean listeners in the tri-state area. When you to listen to Wee Radio you're part of a family that embraces and celebrates our rich culture and heritage. Will you partner with us? Your single or monthly gift will make a difference in the lives of hundreds of thousands of listeners. 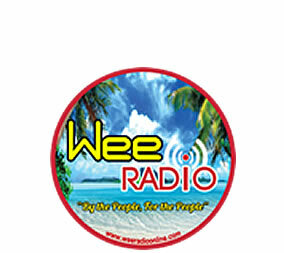 Click To Listen Live To Wee Radio! Welcome to the "New Wee Radio"! We call it "The New Wee Radio" because there are so many new people on the air or in new positions on the air. We have a new perspective on how we select our music, contests, promotions, etc. Also, we have re-purposed and re-determined the focus of Wee Radio as a station that exists to our community, our listeners, supporters and staff.